Is the Keeshond right for you? Find your perfect match now! Originally called the “Wolf Spitz,” Keeshonds have an Artic lineage and were bred as watchdogs for barges sailing along the Rhine. These days, this friendly fuzzball is now primarily a cherished canine companion. Originally from the Netherlands, this medium-sized and medium-energy breed can grow to between 34-45 pounds and lives an average of 12-14 years. The breed is recognized by the American Kennel Club and classified as a member of the Non-Sporting group. WHAT IS A KEESHOND'S PERSONALITY LIKE? A Keeshond's personality is a lot like static electricity: rub them the right way and they'll stick right to you. Affable and affectionate, this dog bonds closely with her chosen people. They're very patient and cuddly, which makes them a great fit for many families. They love children and do well with other pets if socialized early and properly supervised. WHAT IS KEESHOND BEHAVIOR LIKE? These dogs adapt to your activity level, but whether you're an athlete or a lounger, it's still important for them to get exercise every day. Even if they're not bursting with energy, they'll appreciate walks as a chance to meet new friends (they might look like “strangers” to you, but your Keeshond knows better) and explore the neighborhood. True to their river-going heritage, these dogs like to play in water and might splash in their dog bowls if given the opportunity. Don't leave a Keeshond alone in your backyard unless you value canine landscaping — this dog is a digger. Keeshonden are entirely too friendly to make effective guard dogs, but you'll definitely know if someone's at the door. These dogs were bred to be barky, so a Keeshond might be a titch more vocal than your neighbors would appreciate. HOW EASY IS IT TO TRAIN A KEESHOND? Keeshonden are intelligent people-pleasers who are very responsive to training. These are sensitive, intuitive dogs, so be gentle with your furry friend, even if she's stubborn. Be patient and consistent while training, and try to keep sessions short and engaging. They respond well to food, praise, and play rewards. Keeshonden make wonderful therapy dogs, and excel in obedience, agility, and rally events. HOW MUCH DO KEESHONDEN SHED AND WHAT ARE THEIR GROOMING NEEDS? A Keeshond's lush double coat is weather-resistant and requires quite a bit of grooming. Plan to brush this fuzzball at least three times a week. They are heavy seasonal shedders. WHAT HEALTH PROBLEMS DO KEESHONDEN HAVE? Keeshonden are generally healthy. Some develop skin problems, heart disease, or hip dysplasia. ARE KEESHONDEN GOOD FOR PEOPLE WITH ALLERGIES? 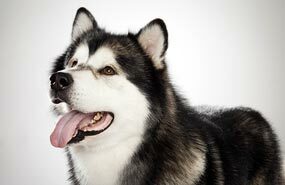 The American Kennel Club doesn't list Keeshonds among its breeds recommended for allergy sufferers. You can reduce your furry friend's impact on your allergies with frequent baths and brushings to reduce loose hairs and aggravating proteins in your pet's dander. Use a damp cloth to wipe off your dog after you've been playing outside. Smaller dogs have less surface area, and so produce comparatively less dander than larger breeds — definitely something to keep in mind with a dog like a Keeshond! Remember that no breed is 100% hypoallergenic, and any breed can aggravate allergies. WHAT IS A KEESHOND'S BEST DAY? Meeting new people, sniffing new things, splashing in puddles, and spending time with you would make any Keeshond's day complete. SHOULD I ADOPT A KEESHOND? With enough exercise, a Keeshond can live just about anywhere — they're very adaptable to their environment, so long as you don't live anywhere too warm. They love cold weather and will happily frolic with you through the snow, however. The main things to keep in mind when you're considering a Keeshond are whether you want to brush this bushy beauty a few times a week, and whether your neighbors will mind her barking. If you don't mind fussing over that gorgeous coat and you don't have noise-sensitive folks living next door, the Keeshond is a world-class canine companion. 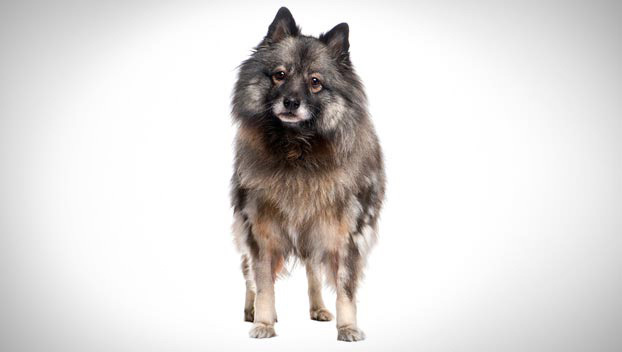 Have you decided that a Keeshond is the perfect dog for you? Why not be your new best friend's hero and adopt a rescue! Be sure to check out our article on what to expect when you're adopting a dog or cat.